Customers of St Marys Centre complete surveys rating our services, cleanliness, professionalism and many other attributes. This purpose built storage centre opened in late 2016, located on 69-73 Christie Street St Marys, NSW. This purpose built centre provides a variety of storage solutions for every customer. 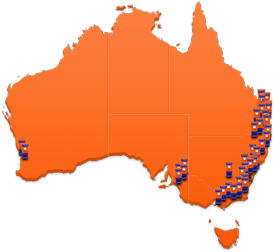 Tradies particularly enjoy the use of large driveway units with drive up access. We also offer larger enterprise spaces otherwise known as mini warehouses starting at 70sqm to 200sqm and of course a range of sizes starting from 1sqm to 30sqm for personal storage. No bond, No lease and No legals. The expansion of an additional 233 new units at St Marys is also now complete and for a limited time you can save 30% on rental (new units only). Located close to the M2 and M4 this centre offers convenient access. 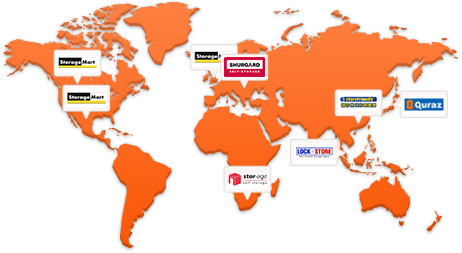 Why choose Kennards Self Storage at St Marys? The final building will be completed in late February. The purpose built 3 level storage building will be equipped with individually alarmed storage units. Kennards Self Storage St Marys opens for business on the 25th November 2016. 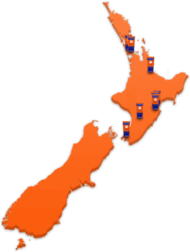 This state of the art storage centre is Located on 69-73 Christie Street. The final touches are being made at KSS St Marys. This purpose built state of the art storage facility will be opening on the 25th November, 2016. Opening In St Marys This Summer! 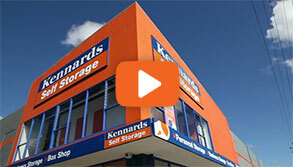 The brand new blue and orange Kennards Storage building cannot be missed at 69-73 Christie Street, St Marys. Opening late November 2016.